INTRODUCTION - If you love musicals as much as I do, you know it’s very difficult to make a list of your favorite scores. 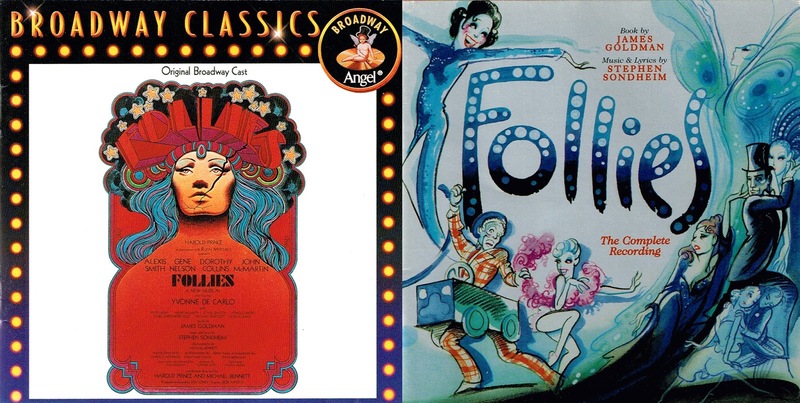 Some titles came to your mind in a blink of an eye, in my case CHICAGO, MACK & MABEL, GYPSY and FOLLIES are among the first. But when you are faced with the task of choosing 20 titles, things became a little more difficult. Which ones to choose in a list of hundreds of shows? Well, I imagined that someone forced me to just keep 20 of my cast albums and I came up with this list. I choose the ones I play more often, the ones who give me more pleasure. It’s true, some of my favorite songs didn’t make the grade (example: “Be Human Again” from BEAUTY AND THE BEAST or “Put on Your Sunday Clothes” from HELLO, DOLLY! ), but I choose the scores as a whole and not for a particular song. By giving a quick look at my list you’ll notice that three things are pretty obvious. First, with one exception, all of these scores have traditional Broadway music. Second, at least in half of these musicals the action takes place in the 20s or 30s (I simply love that period). 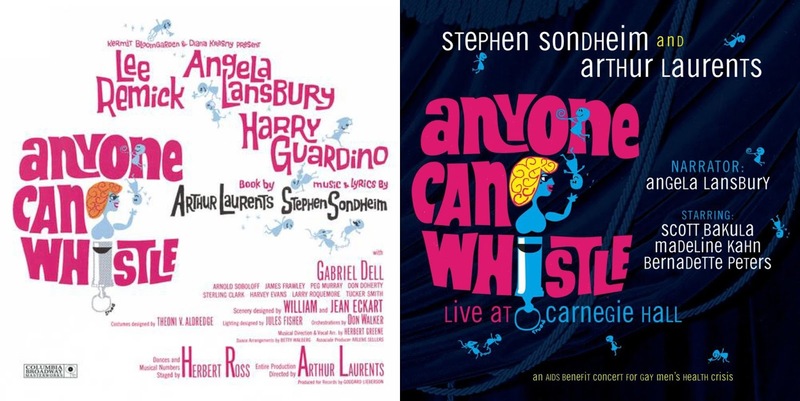 Third, Stephen Sondheim is the composer with more titles. Another thing, after getting through my choices, you’ll probably think that I’m kind of a superficial person who prefers good old fashion musical comedies to more serious theatre work; you are absolutely right! So here is the list in alphabetic order, this way you can get an idea of what I like. Taking a cue from AVENUE Q, this list is just for now. Tomorrow things can be different. 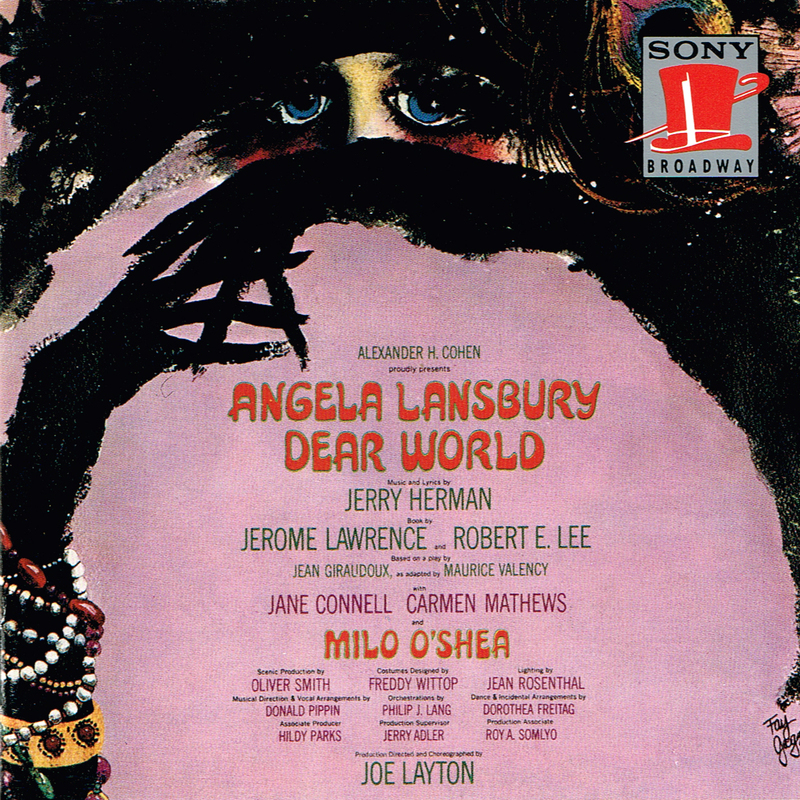 ANYONE CAN WHISTLE - This musical may have seemed a little odd when it opened in 1964, but even then some people realized that Stephen Sondheim’s score deserved to be recorded and the result was a cult album that, among other things, marked Angela Lansbury debut as a musical star. 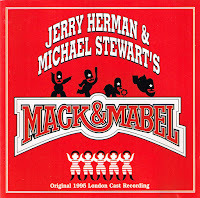 I always enjoyed this recording and was more than pleased when a new one, more complete, was made starring Bernadette Peters and Madeline Kahn. 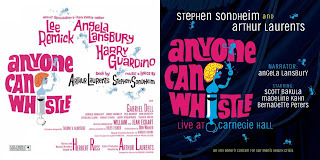 I think both CDs are worthy having and there are always so many interesting things to discover in Sondheim’s score that I’m never tired of playing it. 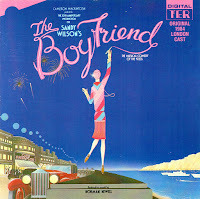 THE BOY FRIEND – Although the original Broadway cast has Julie Andrews as Polly, I prefer the 1984 London cast recording. I think that Sandy Wilson’s delicious score never sounded better. This Twenties musical comedies spoof began life as a small show but soon its charms turn it into a big hit. For a lover of the 20s like me, this is musical heaven! This may sound like a naïve musical, but it’s a flashback to happier innocent times and songs like “Won’t You Charleston with Me”, “I Could Be Happy with You” and “The Riviera” are an irresistible invitation to dance. 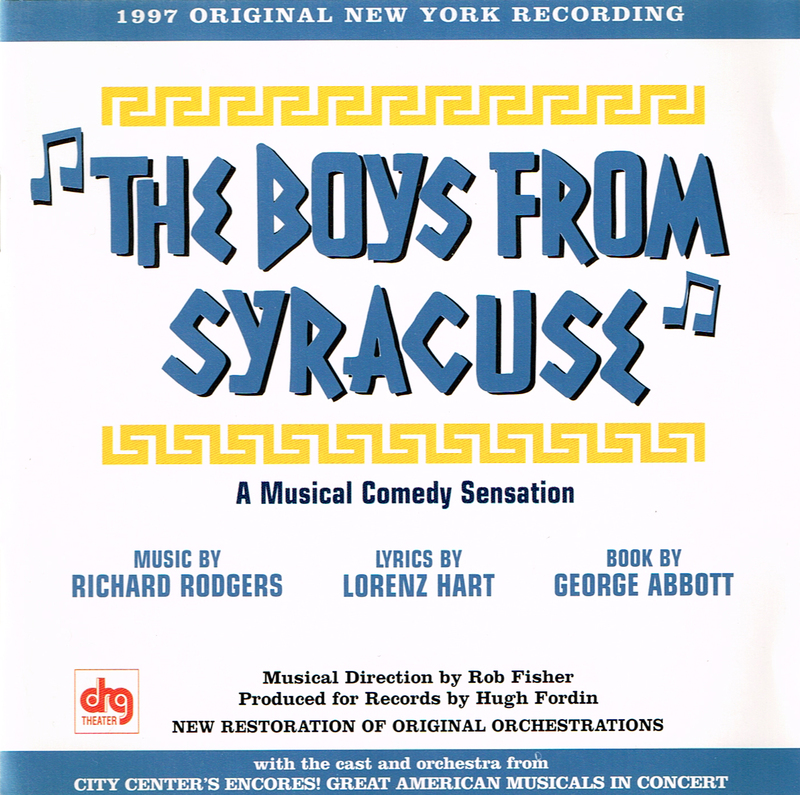 THE BOYS FROM SYRACUSE – It’s hard to believe that so many classic standards were written for just one musical, but that happened with this enjoyable Rodgers & Hart musical. 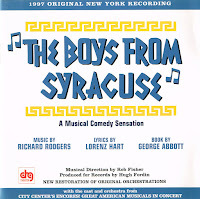 “Falling in Love With Love”, “Sing for Your Supper”, “This Can’t Be Love”, “Oh, Diogenes” and others were original written for this show and the result was one of the best scores of the 30s and my favorite by Rodgers & Hart. This City Center’s Encores! 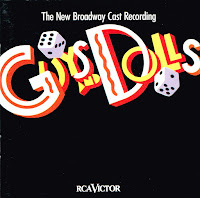 cast recording couldn’t be better, with a fantastic cast and terrific orchestrations. Today no one writes scores like this one and I surely miss it. 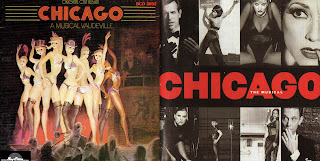 CHICAGO – The first time I heard it I was 12 years old. On that day I fall completely in love with it and today it still is my all time favorite score. 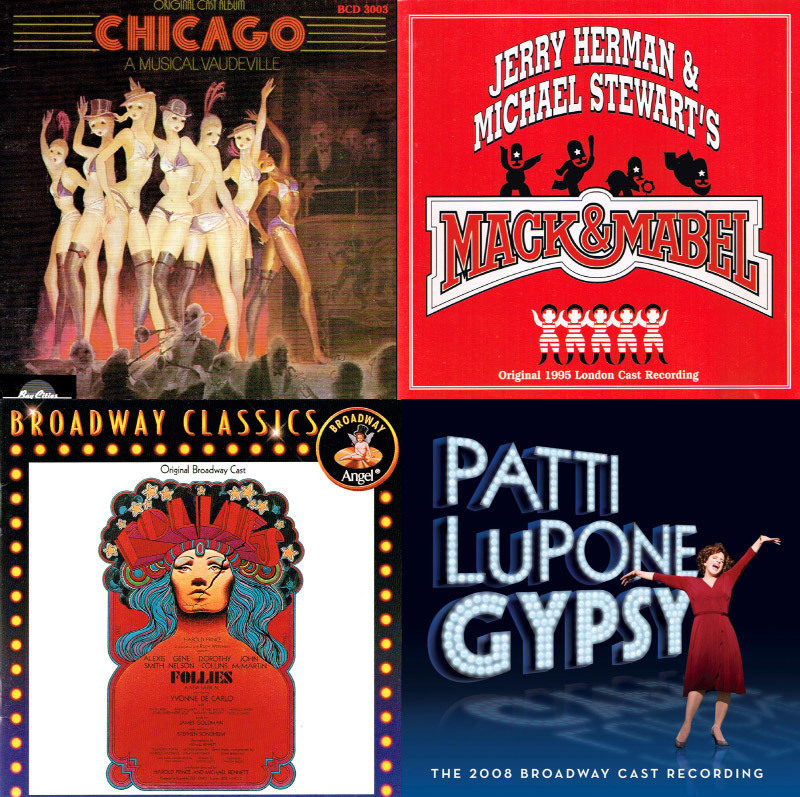 The original Broadway cast recording with Chita and Gwen is highly theatrical but the new Broadway cast with Bebe and Ann has more music and it’s more exciting, but I strongly recommend both. From the lively “Overture” to the fabulous “Nowadays/Hot Honey Rag”, don’t forgetting one of the best songs I have ever heard, “My Own Best Friend” and one of the most riveting numbers of any musical, “Cell Block Tango”, this Kander & Ebb score never fails to lift up your spirit. 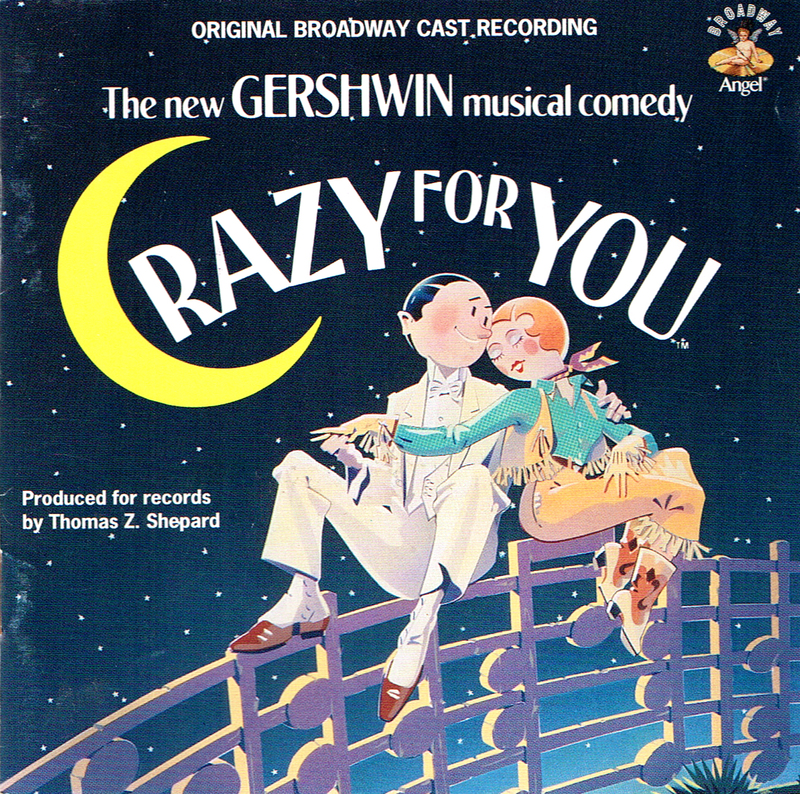 CRAZY FOR YOU – Using old songs from the Gershwin’s songbook, this new musical was responsible for bringing dance back to the musical. 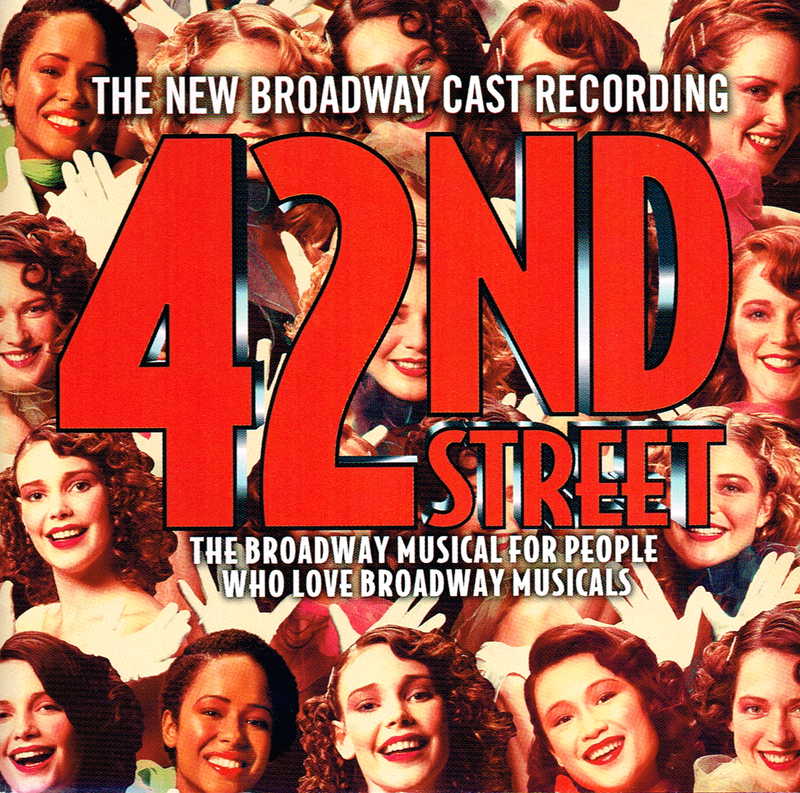 This Broadway cast recording is riveting and it’s a pleasure to hear so many great songs in just one show. With, among others, “I Got Rhythm”, “I Can’t Be Bothered Now”, “Someone to Watch Over Me”, “Shall We Dance”, “Embraceable You”, “Nice Work If You Can Get It”, “Naughty Baby”, “But Not for Me”, “Slap That Bass” and “They Can’t Take That Away from Me”, who can ask for anything more? I’m sure I can’t and it’s lamentable that no one writes songs like these nowadays. 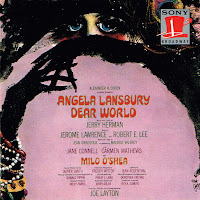 DEAR WORLD - After becoming a huge star thanks to MAME, the lovely Angela Lansbury teamed with Jerry Herman for this Broadway flop. This may have been a flop, but Herman’s score is among the best written for a musical. Everything in it is perfectly melodic and Herman came up with his best work as a lyricist. The hilarious “The Tea Party” is a masterpiece and “I Don’t Want to Know” is an enchanting song. I know that Herman didn’t like the title song, but I always enjoyed it and Angela and the rest of the cast have a great time with it. 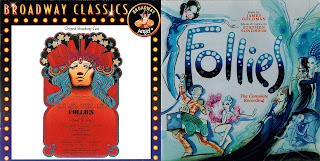 FOLLIES – This is the stuff legends are made of! A truly remarkable Stephen Sondheim score, that is at the same time a nostalgic trip down memory lane and a bitter look at its reality. 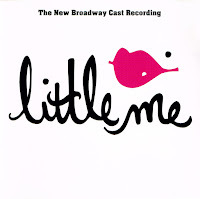 I don’t think there’s any other musical written after the 60s with so many unforgettable songs (“Beautiful Girls”, “Broadway Baby”, “Who’s That Woman?”, “I’m Still Here” and others) like this masterpiece of musical theatre. 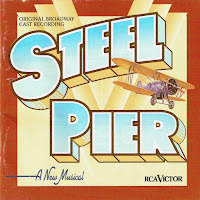 The original Broadway cast is the best recording of this fantastic score, but the Paper Mill Playhouse cast recording is more complete (although it doesn’t include a personally favorite of mine, “Make the Most of Your Music”, that was written for the London production), so every musical fan should have both. If dreams are made of this why should anyone want to wake up? 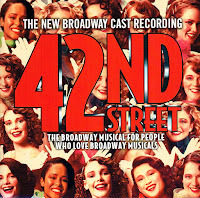 42ND STREET – Join those happy feet in one of the most dazzling scores Broadway adapted for the stage. Inspired by those delicious black and white movies that Busby Berkeley did for Warner, this show delivers the unforgettable songs of Harry Warren and Al Dubin (“Young and Healthy”, “Lullaby of Broadway”, “We’re in the Money” and “Dames” among others). 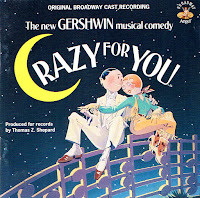 The Broadway revival recording is much better than the original one, with improved orchestrations and a few more numbers, among these the delightful “With Plenty of Money and You” and “I Only Have Eyes for You”. There’s only one problem with this score, I can’t keep still. Wherever I’m listening to it I just have to “go into my dance”. 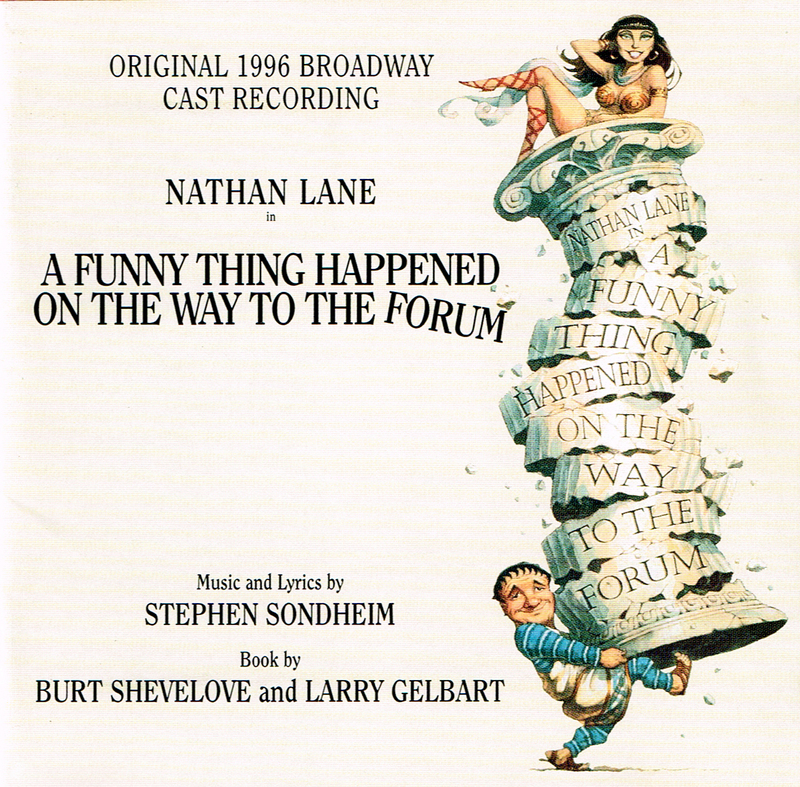 A FUNNY THING HAPPENED ON THE WAY TO THE FORUM - For his debut as composer and lyricist Stephen Sondheim came up with this hilarious Roman farce and the result is highly enjoyable. With songs like “Comedy Tonight”, “Everybody Ought to Have a Maid” and “Lovely”, this is musical comedy at its best and besides LITTLE ME this is the funniest of all musical scores. 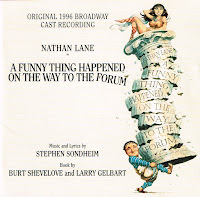 The original Broadway cast with Zero Mostel is great, but the Broadway revival with Nathan Lane and new orchestrations by Jonathan Tunick is much better and livelier. Among other things it includes the terrific “The House of Marcus Lycus” and a better ensemble cast. If you think Sondheim can’t write simple songs, just play “Love, I Hear” and “Pretty Little Picture” and I’m sure you’ll change his mind. GOOD NEWS! 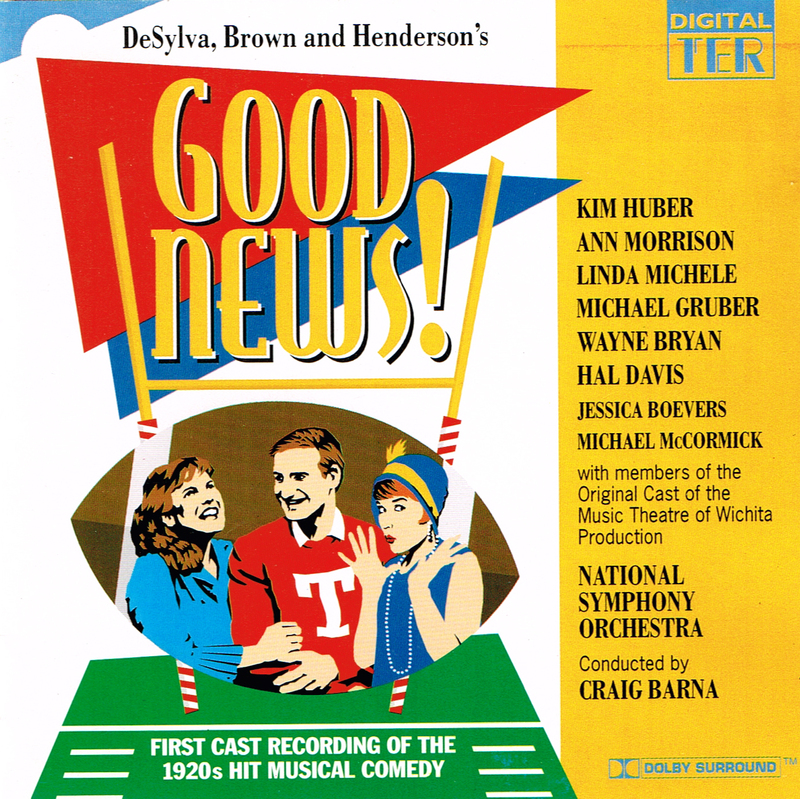 – Although this Music Theatre Wichita production never made it to Broadway, it was preserved in this exciting recording. This score by DeSylva, Brown & Henderson is a reminder of long forgotten times where the aim of a musical was simply to entertain. There’s an almost guilty pleasure when we hear carefree songs like “Button Up Your Overcoat”, “The Varsity Drag”, “Never Swat a Fly”, “The Best Things in Life Are Free”, “Keep Your Sunny Side Up” and “Life Is Just a Bowl of Cherries”. The cast sound like they were born on the 20s and they make us want to go back in time and have as much fun as they had in those times. GUYS AND DOLLS – This “musical fable of Broadway” has one of the most perfect scores ever written for a musical. 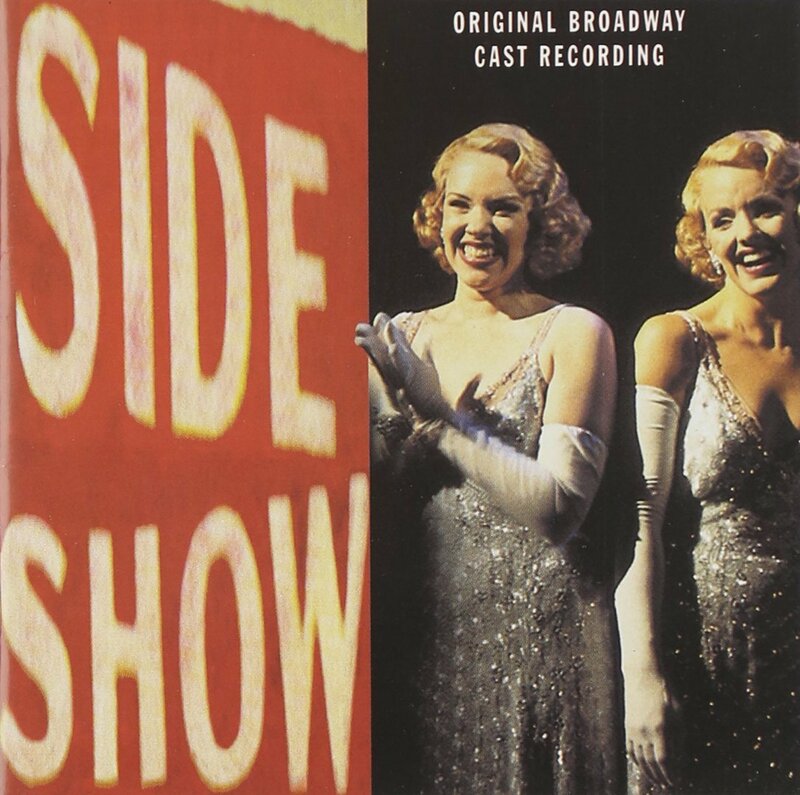 Frank Loesser must have been deeply inspired when he wrote it and it never sounded better than in this 1992 Broadway revival. The irreprehensible cast is fantastic, specially Nathan Lane and Faith Prince, who sing their roles like they have been written just for them. Peter Gallagher and Josie de Guzman also sound very convincing in their roles and Walter Bobbie delivers an exhilarating “Sit Down, You’re Rockin’ the Boat”. 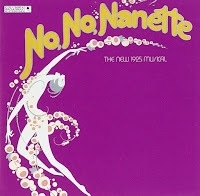 Fill with gorgeous songs, from beautiful ballads like “I’ve Never Been in Love Before” to comic ones like “Adelaide’s Lament”, not forgetting perfect musical tunes like “Luck Be a Lady”, this is pure Broadway and there aren’t many opening numbers as good as “Runyonland”. 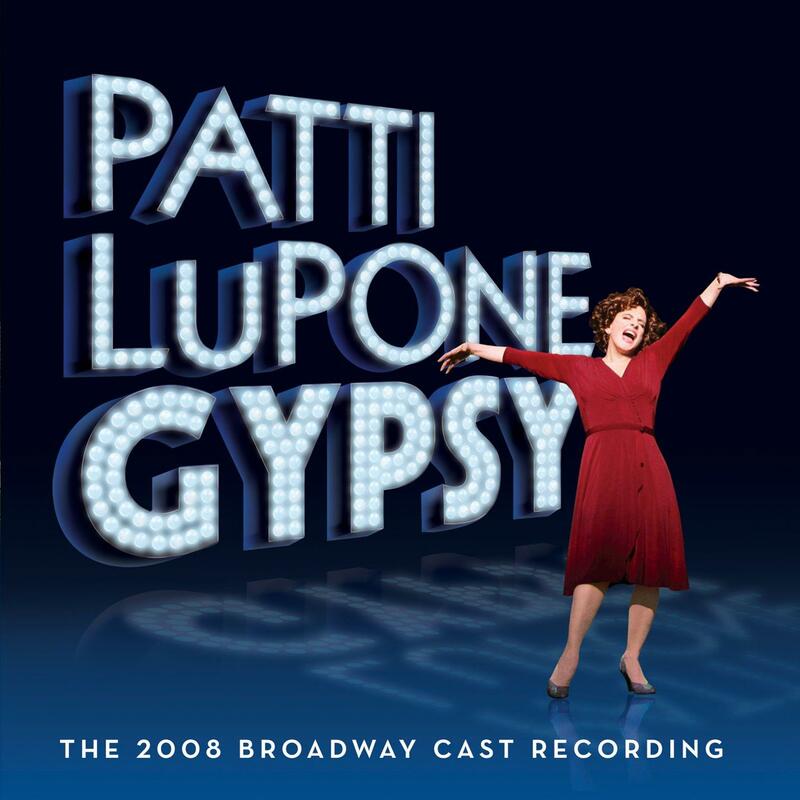 GYPSY – If there’s a score that defines what a Broadway musical is, this Jule Styne & Stephen Sondheim is it. With the best of all "Overtures" and some of the most unforgettable musical theatre songs, this is truly an amazing musical. 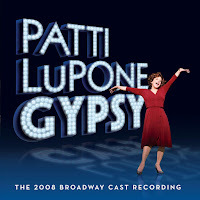 I have the versions with Ethel Merman, Angela Lansbury (my favorite before Lupone), Tyne Daly and Bernadette Peters, but none of them, with all their talent, can be compared with Patti Lupone’s amazing tour de force. Can you imagine a world without “Some People”, “Everything’s Coming Up Roses”, “Together”, “All I Need is the Girl” and “You Gotta Get a Gimmick”, just to mention a few? I can’t and I’ll always treasure this glorious score. INTO THE WOODS – Since I was child that I love fairy tales and Stephen Sondheim is one of my favorite composers, so its no wonder that I fell in love with this score since the first time I heard it. This is probably Sondheim’s most accessible score and, although it may not have the genius of SWEENEY TODD or COMPANY, the truth is that I prefer it to those distinguished scores. 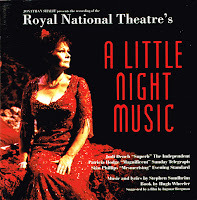 The original Broadway cast is excellent, but this London recording has more feeling, atmosphere and is more theatrical. 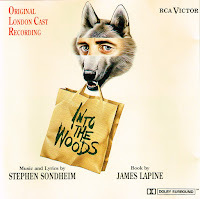 The cast couldn’t be better and among my favorite moments there’s “It Takes Two”, “Our Little World” (specially written for this London production) and “Moments in the Woods”. Please accept this invitation and “go into the woods” and be “happy ever after”. 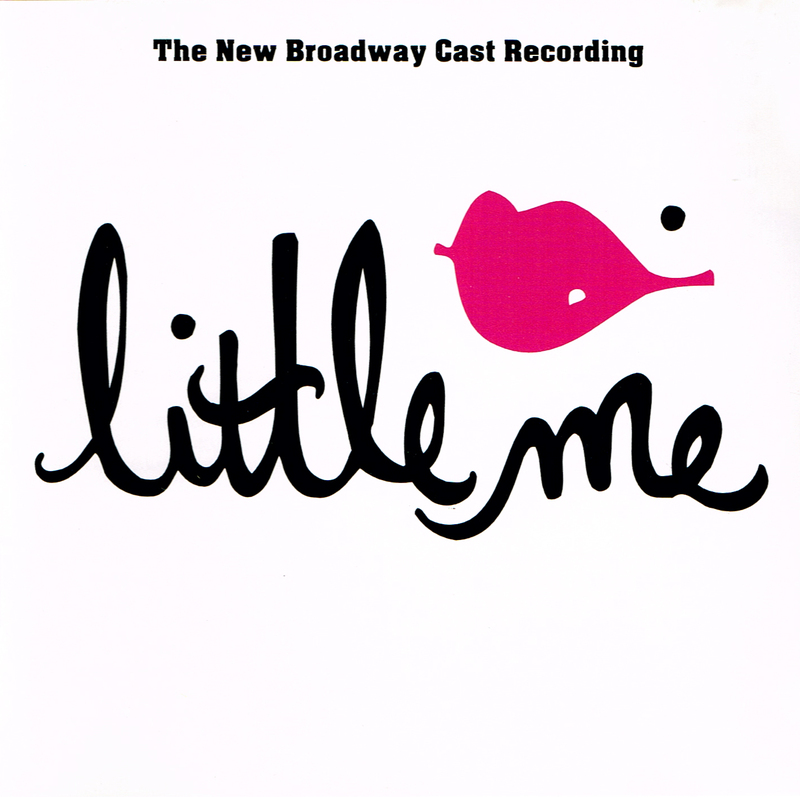 LITTLE ME – Is there a funnier score in all the musical theatre history? I don’t think so, not even THE PRODUCERS or AVENUE Q. 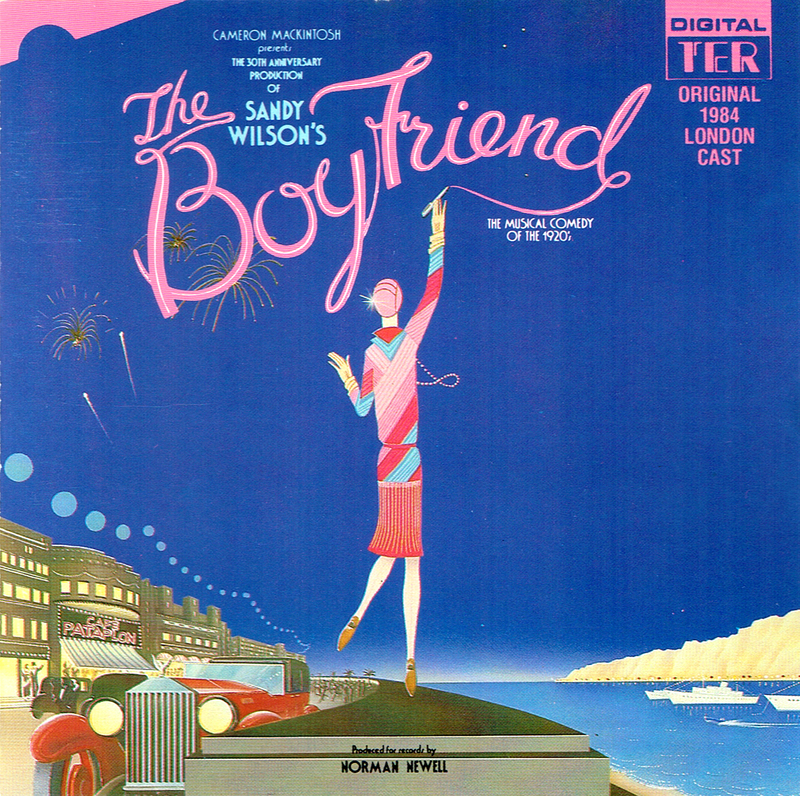 For this fabulous musical comedy, Cy Coleman wrote his best music and the lyrics by Carolyn Leigh gave it the perfect final touch. Many people dismissed the 1999 Broadway revival starring Martin Short and Faith Prince, but I loved it and I think this recording is much better than the original Broadway cast. 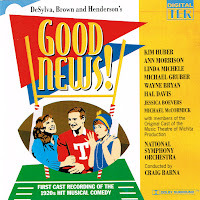 The new orchestrations by Harold Wheeler give fresh life to numbers like “Rich Kids Rag”, “I’ve Got Your Number”, “Boom, Boom” and “Real Live Girl”. This is an absolutely amusing score that will put a big smile on your face. A LITTLE NIGHT MUSIC – Do you love waltzes? If you do you’ll love this Stephen Sondheim score. I’m not an expert in music, but I read that all the show songs were written as waltzes and the result is one of the most melodic scores that have ever been written for a musical. Sondheim’s most famous song, “Send in the Clowns”, belongs to this musical, but my favorite is the haunting “Every Day a Little Death”. I also have to mention the superb “A Weekend in the Country”, a flawless example of Sondheim’s genius. 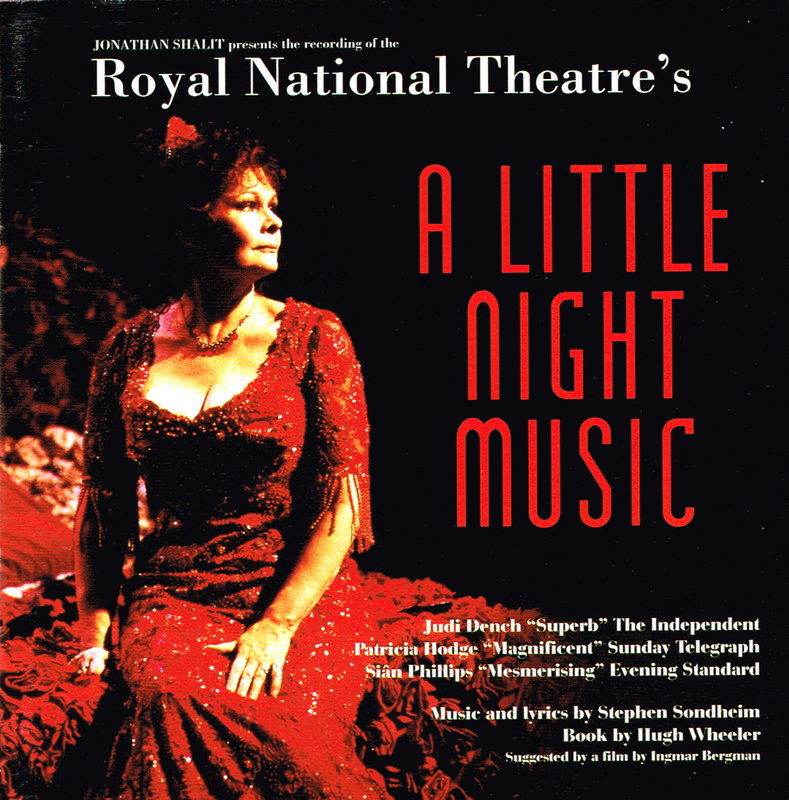 For me this Royal National Theatre cast recording is the best of all these show’s recordings. There’s something dramatic and artificial about it that makes it perfect and the cast is truly remarkable. 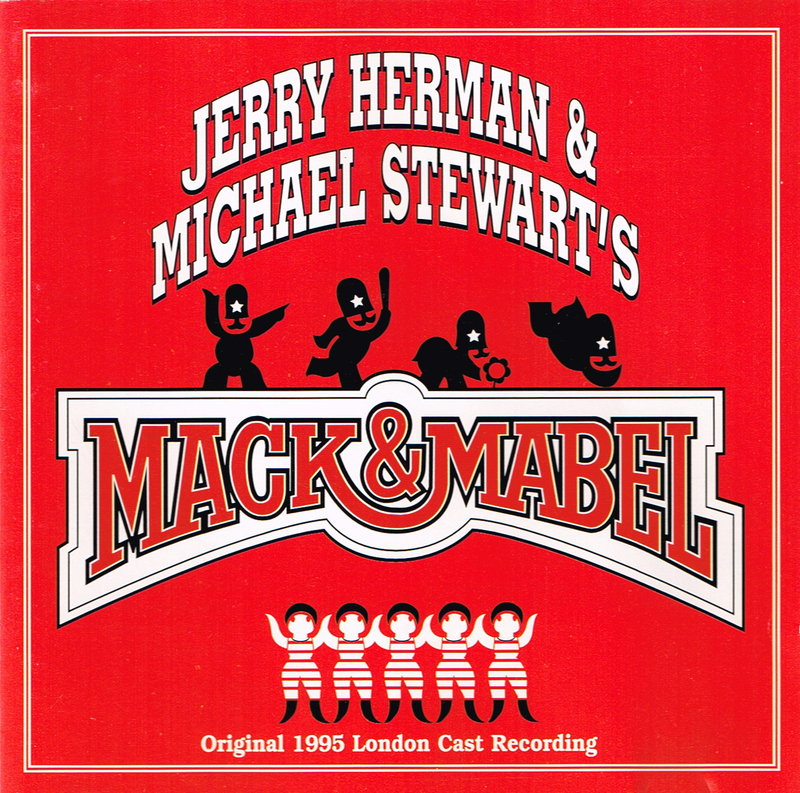 MACK & MABEL – Jerry Herman is one of my favorite composers and is responsible for some of the more cheerful scores ever written for a musical. For me this is his best work, there isn’t one song that isn’t great and it’s difficult to understand why this show failed when it opened in 1974. There are two cast albums of this show and it’s very difficult for me to choose one of the two. Both are wonderful and their casts are terrific, but since the London recording is longer I’ll go for this one. Among the unforgettable songs, my favourite is “Tap Your Troubles Away”, but I love the beautiful “Time Heals Everything” and I always get high when I hear “Look What Happened to Mabel” and “Big Time”, and a big time you’ll have hearing any of these two recordings. 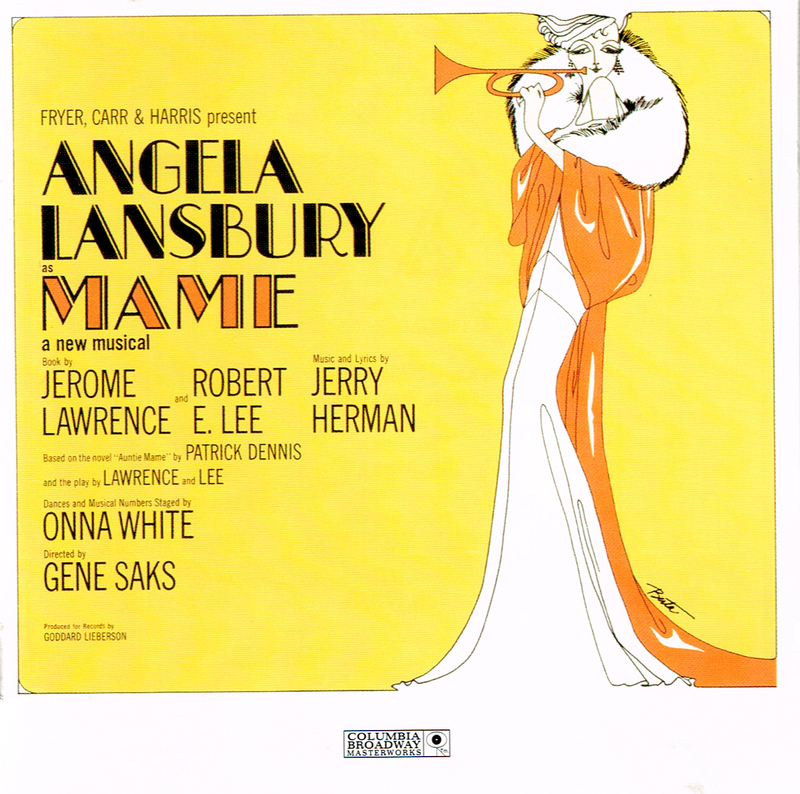 MAME – My all time favorite song, “It’s Today”, belongs to this musical and the rest of the score is unpretentiously glorious. 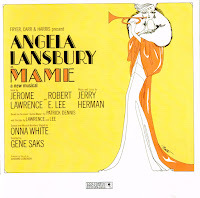 Jerry Herman was at the top of his form when he wrote it and lucky to have a perfect cast to give life to the characters; Angela Lansbury, Beatrice Arthur and Jane Connell are irresistible and irreplaceable. Herman is known for his feel good scores and this is perhaps his most uplifted work. With unforgettable songs like “We Need a Little Christmas”, “Open a New Window”, “Bosom Buddies”, “Gooch’s Songs” and the breathtaking “If He Walked Into My Life”, this is truly Broadway at its best! 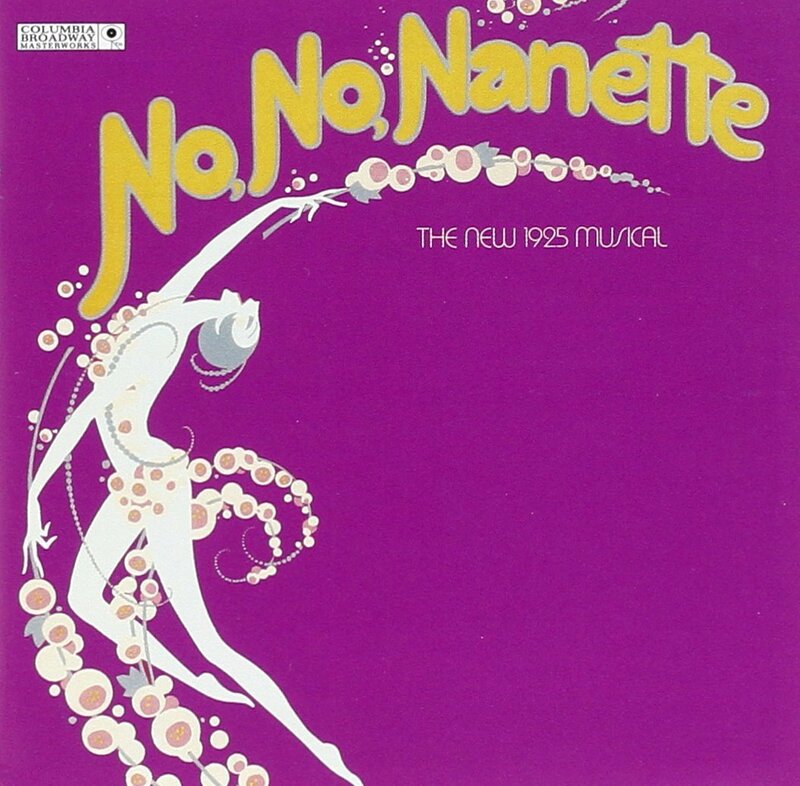 NO, NO, NANETTE – This Broadway revival was a surprise hit when it opened in 1971 and thanks to it we have this highly enjoyable recording. The songs by Vincent Youmans, Irving Caesar & Otto Harbach never sound fresher and livelier and the result is one of those scores that just make you want to dance. Dear old Ruby Keeler returned to Broadway to lead the happy tap dancers of the company in big numbers like “I Want to Be Happy”. A group of terrific veterans joined her and the result couldn’t have been happier. Among the numbers there’s the famous “Tea for Two”; Helen Gallagher shines with “Too Many Rings Around Rosie” and has a great time with Bobby Van with “You Can Dance with Any Girl at All”; Jack Gilford is a delight with “I Want to Be Happy”. This may be frivolous, but I love this kind of stuff! It’s irresistible! SIDE SHOW – This may seem out of place in this list, but think again. The action takes place in the 20s and Henry Krieger and Bill Russell came up with a couple of period songs. It’s true the rest of the score have a pop flavor that I usually don’t like, but when it’s this strong and emotional I can’t resist it. The cast is perfect, with Alice Ripley and Emily Skinner giving truly star turns. From the disturbing “Come Look at the Freaks” to the touching “I Will Never Leave You”, not forgetting those period songs and the dramatic “Say Goodbye to the Freak Show”, this is contemporary Broadway at its best! 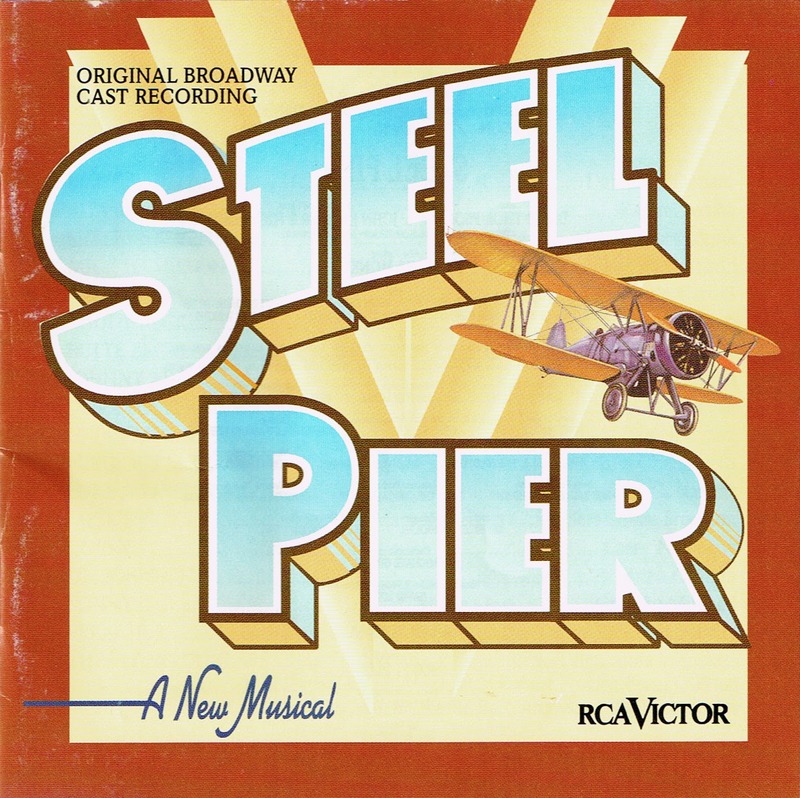 STEEL PIER – In one of the songs they ask “Why don’t you come to the Steel Pier?” and it’s a pity that the public didn’t went to see it on Broadway when it opened. But thank God someone decided to record it and the result is Kander & Ebb best work since CHICAGO. This sound like pure Broadway and has a theatrical feeling missing from most new musicals. The cast couldn’t be better and among the songs there are the delightful “Second Chance”, the riveting “Willing to the Ride” and the haunting “First You Dream”. So come to the Steel Pier and you’ll never be “gloomy or glum”. This is tough! About half our choices match. I would definitely include "On the Twentieth Century," "A New Brain," "Queen of the Mist," "Fade In, Fade Out," "Candide," and "On the Town." My list would leave off (although I enjoy all those scores to varying degrees) "Side Show," "Mame," Guys & Dolls," "...Forum," "42 Street," and "The Boyfriend." Rob't thanks for the visit and for sharing your favorites. The truth is, for me to include all the scores I love, my list would be a lot longer. Not ONE Rodgers & Hammerstein?! Oh my . . . CAROUSEL is one of the most beautiful scores ever written. And THE KING AND I is also one of their best. I also miss (and would include on my own list) SHOW BOAT and A CHORUS LINE.
. . . and SWEENEY TODD!! Film Hawk thanks for the visit. I love the Rodgers & Harmmerstein's scores, plus SHOW BOAT, A CHORUS LINE and SWEENEY TODD, but I chose scores I listen to more often. Love your blog and have discovered many musicals through reading it for years & like all the shows on this list. Why haven't you updated your musicals on dvd for since 2017? I always find that interesting & helpful. You used to have a wish list - have you checked out Youtube for any of them? There are loads of great shows on there both recent and old. Keep up the good work. Thanks for visiting my blog and I'm happy to know that you discovered many musicals through it! The reason I haven't updated the STAGE MUSICALS ON DVD/BLU-RAY was because I didn't discovered any new ones released last year. But today I updated it with a French production of WONDERFUL TOWN. As for my wish list, one of these days I'll return to it.